This week, m’lovely friend @kloklo talked about her top five comfort reading choices. I’ve not read Annie Proulx or Pratchett (I know, I know), but in general I endorse her book choices - she’s responsible for The Art of Fielding and Shotgun Lovesongs being in my life in the last year along. But it got me thinking about what my comfort reading choices would be. 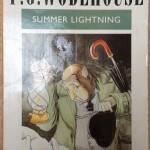 (1) P.G Wodehouse - Blandings Like @kloklo, I’m also going to land on the delightful Wodehouse as a must-have comfort read, but I’m taking the Blandings Castle books, which I read first thanks to some very clever teacher putting Summer Lightning on a summer reading list. Reading Wodehouse is a lot like dancing with a sprite at the bottom of the garden during golden hour, and Blandings is full of your required quota of daffy uncles, commanding aunts, necessary butlers, and lovelorn loons, plus a truly amazing pig. Sadly the recent BBC series is not quite all it might be - but I heartily recommend their old TV film of Heavy Weather, which you can watch on YouTube. (2) J.K Rowling - Harry Potter For those days when you just want to get lost in a story. J.K Rowling has some special alchemy going on: each book works (though yes, she could have tightened up on Goblet of Fire in places), the overall arc works, the stakes feel real, I have cried over an Owl, goshdarnit, but most of all, these are all about the characters. They’re just so human that they leap off the page, even Voldemort. Prisoner of Azkaban is my favourite, because it’s where the world really gets rich. Also, this one is still fairly short, so you can get your comfort in fairy quickly. 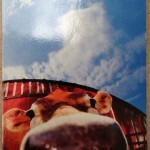 (3) Stella Gibbons - Cold Comfort Farm“I saw something naasssty in the woodshed.” Flora Poste, newly orphaned, has no money and throws herself on the mercy of her relatives, the Starkadders of Cold Comfort Farm, and vows to tidy up their lives. A wildly eccentric cast of characters (and animals) stand in her way, and it is Perfectly Delightful in the way that it loves and pokes fun at the English country life at the same time. (4) David Sedaris - Me Talk Pretty One Day For the days when you want to laugh so much you get a stitch. This was my first and remains my favourite Sedaris volume (followed swiftly by When You Are Engulfed in Flames). I read it the winter I lived in Germany and was pretty lonely, and the Sedaris’ attempts to learn French had me curled up on my bed sobbing with laughter. He describes the world in a way that just makes me realise that often, the bad bits are really just ridiculous. (5) Douglas Adams - The Hitchhiker’s Guide to the Galaxy Oh, this book. I think it might be encoded into me, somewhere. I’ve been reading it since my early teenage years. Listening to it since not long after. My cousin and I once freaked out his then girlfriend with how much of it we could quote back and forth on a car journey. It was the book that got me onto the internet, socially, when Adams launched h2g2.com. It is written into my memories, my friendships, and my pop-cultural references, and it came before any of the other things that have embedded in my life in the same way. It’s the first book on my bookshelf, in more ways than the alphabetical. On the days you don’t feel up to reading anything at all, just get the radio plays and listen to them while soaking in a very long, hot, bath. You will feel better. (p.s. It was really really hard not putting David Mitchell on this list: he does such wild things in writing that just makes you feel really safe in his hands. So he’s my bonus sixth).